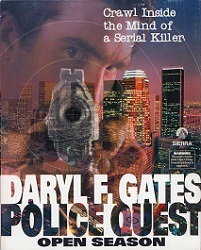 You are John Carey, homicide detective at the Los Angeles Police Department. One night the mutilated body of a fellow police officer is found in a dark alley in South Central LA. It turns out to be your former partner and best friend, Bob Hickman. His body shows burn marks, his eye lids are glued shut and he's missing one of his fingers. What was he doing in this neighborhood? Who would kill him, let alone torture him like that? In addition, the body of a young boy, riddled with bullets, is found in a nearby garbage container. Are the crimes related? Is it the work of a local gang or is something else at play? John Carey is assigned with the task to lead the investigation. Search the crime scene for evidence, visit the coroner for clues on the murderer's methods and question anybody who may know more, but beware of false leads. As you unravel the mystery step by step, the murderer continues his killing spree, leaving a trail of dead bodies across Los Angeles. The people of the city are concerned for their safety, the media is having a field day, your superiors demand a solution and the administration is slowing you down. Don't let your emotions get in the way and stick to police procedure - there is no room for error, or you could be the next victim. 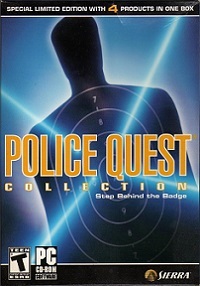 After the departure of series creator Jim Walls following the release of Police Quest 3, Sierra decided to give the Police Quest series a new plot, new protagonist, new location and new look - homicide detective John Carey replaced Sonny Bonds and LA replaced Litton. 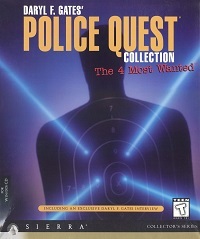 The game also entirely focuses on a homicide investigation, leaving out driving sequences and other police work such as handing out traffic fines, although it does still include the paperwork and shooting practice at the firing range. Tammy Dargan, who had produced the VGA remake of Police Quest 1 as well as other Sierra games, and who also co-produced the "America's Most Wanted" TV series prior to joining Sierra, now became designer, writer, director, and producer of this fourth Police Quest installment. 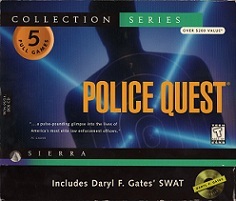 Sierra also brought long-time LA Police Chief Daryl F. Gates into the team as author of the game. Chief Gates, who had recently resigned following the 1992 LA riots, joined the Sierra team to show gamers the true face of police work. The game utilizes real location backgrounds and blue screen acting to convincingly add to the realism of the story. 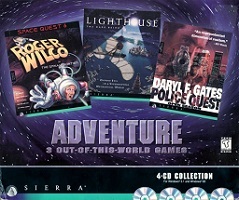 The game was first released on floppy and later re-released with voice-overs. 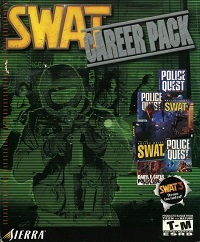 It would be the last of the Police Quest adventure games, as Sierra followed it up with a spin-off series - Police Quest: SWAT, again designed by Tammy Dargan and Chief Gates.